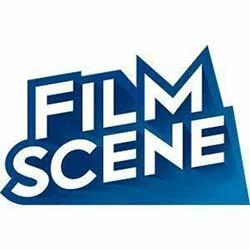 Visit the Film Scene for Isle of Dogs, presented with Leash on Life and Friends of the Animal Center Foundation. Opening April 13th, director Wes Anderson’s inimitable style is going to the dogs in his latest star-studded stop-motion spectacle! With the assistance of a pack of mongrel friends, a boy begins an epic journey in search of his bodyguard-dog, Spots. Bring your friendly dog to the movies on opening weekend mornings. Ticket includes a seat, water and free doggie bags for your pup provided by Leash on Life! Whether or not you attend the film, your pup is invited to join us from 10:00am-Noon to strut down the blue carpet for a FREE photo shoot with Laurie Haag Photography—no ticket required. Plus, check out Laurie’s pooch photography in the gallery all month long. 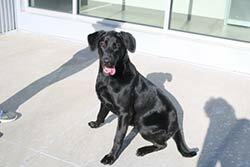 Iowa City’s Domestic Violence Intervention Program, DVIP is the only domestic violence program in Iowa with an organized safe pet program. Named Cooper’s House, in memory of a DVIP dog, DVIP was awarded a national grant from Red Rover to expand support services on premises. This provides the therapeutic value of families and pets staying together when they are in crisis. Up to 70% of domestic violence victims report having a pet. Abusers threaten, injure, and at times kill pets to control their victims and create an environment of fear within the home. Approximately 48% of women have refused to leave a dangerous situation for fear of their pets’ safety. Cooper’s House is ready, the food pantry is stocked, but the toy cupboard is empty! 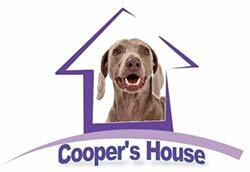 Join us on Saturday April 28th as we partner with DVIP to stock Cooper’s House. We will have generous sales on beds, blankets, toys, treats and health products specifically needed for donation. DVIP staff will showcase Cooper’s house and provide information about DVIP. Leash on Life staff will host demos of products helpful for all dogs and cats in times of transition. Callie is the life of the party. She is very smart, and you will need to keep her mind busy. She is very high energy and adopters need to keep her active. Callie is available through the Iowa City Adoption Center, call (319) 356-5295 or visit www.icanimalcenter.org to learn more about all the animals at the Center.